In years past, Felix Hernandez was the given opening day starter. But manager Scott Servais said he hasn't determined his opening day starter. Could it be James Paxton instead? 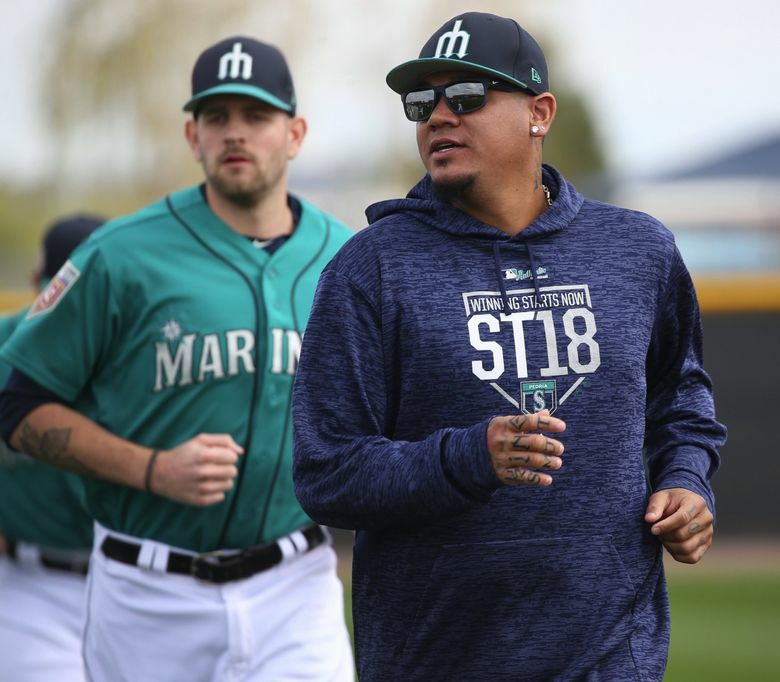 It’s something that manager Scott Servais basically confirmed early in each of his previous two spring trainings. It was simple. Pencil in Hernandez as your No. 1 starter and fill out the rest of your rotation. 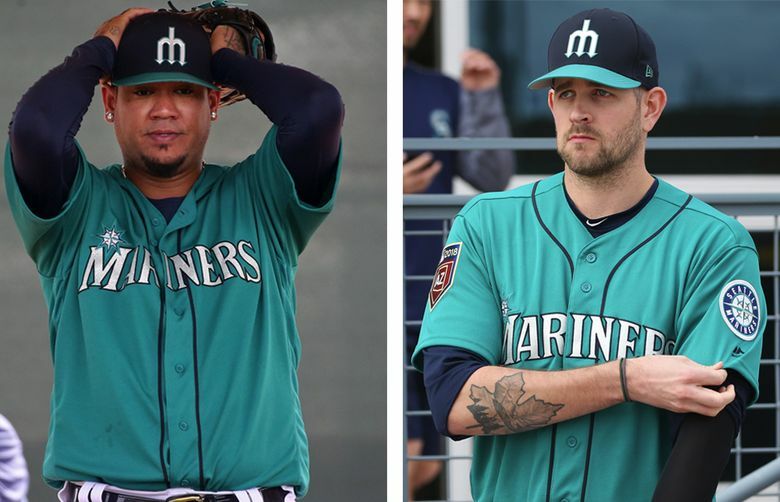 But asked on Monday who is opening day starter would be this year, Servais respond with Hernandez’s name immediately. In fact, he didn’t give a name. Are you not ready to announce it? “No, we’ll wait and see how the spring plays out,” he said. So, this is somewhat new and surprising. Regardless of his struggles the last two seasons, Hernandez has been the face of the Mariners’ franchise long before the current regime had taken control. He has been the Mariners most visible star through many losing seasons that ended on the final day of the regular season and never later. He’s always been rewarded for that loyalty and success with the opening day honor. Hernandez would’ve started 11 straight opening days if not for the colossally stupid and short-sighted decision by former manager John McLaren to choose then-recently acquired Erik Bedard as the opening day starter for the 2008 season. Bedard loathed having the burden or responsibility while Hernandez felt slighted by a manager that clearly couldn’t read the pulse of his clubhouse. Even worse, McLaren never told either pitcher about the decision before telling the media, who then rushed to each for reactions. The circumstances are a little different now. Servais certainly wouldn’t make McLaren’s mistake of not informing the affected pitchers first before announcing it. He did clarify the process of when he planned to announce his opening day starter. It basically comes down to Hernandez or James Paxton starting on opening day. As of now, based on their scheduled Cactus League starts, both pitchers are lined up with the possibility of starting that first game against the Cleveland Indians on March 29 at Safeco Field. To be fair, barring an injury to either Paxton or Hernandez or both, or some new, secret and strategic plan based on planned starts, rest days and off days in the first month devised by the coaching staff, Leake isn’t going to be starting on opening day. He just isn’t. So that leaves Hernandez and Paxton. Does it speak to how far Paxton has risen in the eyes of the organization and front office or how far Hernandez has regressed for this to be under consideration? For extended stretches last season, Paxton looked like a star, posting a 12-5 record with a 2.98 ERA in 24 starts. His success was interrupted by a pair of trips to the disabled list with a forearm strain and a pectoral strain. When he was healthy, he wasn’t just the Mariners’ best pitcher, but one of the best in the American League. Meanwhile, Hernandez slogged through one of his least productive seasons of his career. He posted a 6-5 record with a 4.36 ERA in 16 starts. He had two extended stints on the disabled list for bursitis in his throwing shoulder. Even when he was healthy, his performances were inconsistent as mechanical and command issues plagued him. So what does each pitcher think? Well, Paxton, who seemed perplexed to even be asked about the situation, was diplomatic and deferential. Hernandez seemed just as surprised about being asked about starting on opening day. He hasn’t had a reason to think he wouldn’t be the opening day starter for quite a while. Does starting on opening day matter? To Paxton, the concept of Hernandez not starting on opening day is foreign to him. He was drafted in 2010 and since he’s been with the organization, Hernandez has always been the opening day starter. Is this some sort of weird motivational ploy by Servais and the front office to keep Hernandez hungry and focused during spring training? Or is there really a shift to Paxton’s rising star from Hernandez’s fading King Felix days? For the first time in a while, the question apparently needs to be asked again in the next week or two. And only Servais knows the answer.